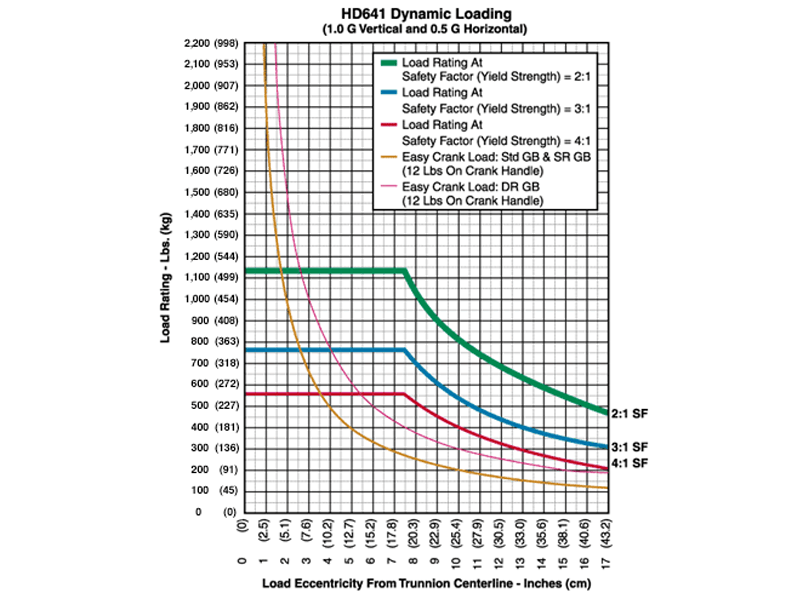 The Model HD641-IND15-P8-B045 shown below is typical and representative of the HD641 Models. For more information on specifying a holding fixture, see the 600 SERIES OPTIONS page and 600 SERIES CREATING A MODEL NUMBER pdf. 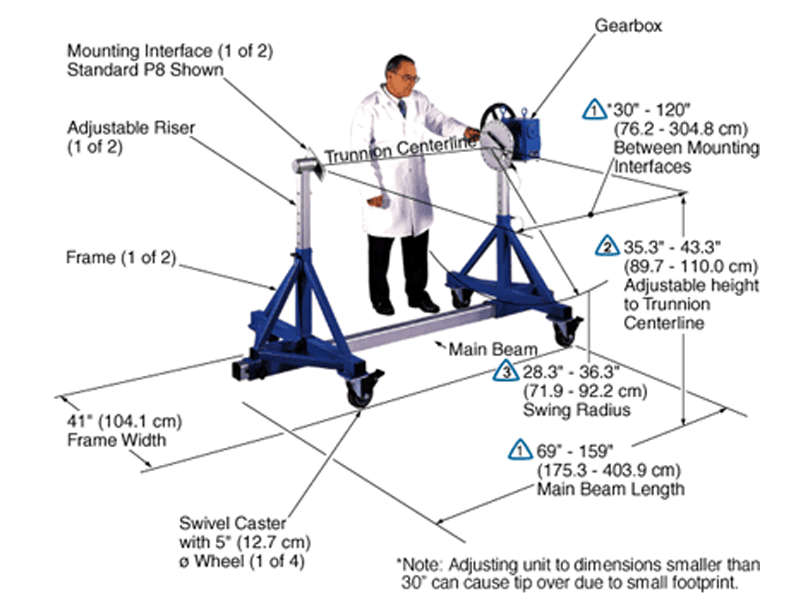 Addition of an optional SR or DR gearbox decreases the vertical riser adjustment from 8″ to 6″ and increases the minimum trunnion height from 35.3″ to 37.3″. * Note: Adjusting unit to dimensions smaller than 30″ can cause tip over due to small footprint.